British stand-up comedian and political activist who was discovered after appearing on BBC. 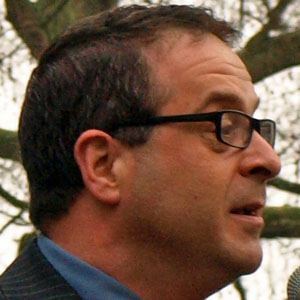 He is best known for hosting The Mark Thomas Comedy Product on Channel 4. He received a Theatre Arts degree from Bretton Hall College. He is very politically active and works with 'War on Want' in India, and examines human rights violations in Columbia. His mother was a midwife, and his father was a self-employed construction worker. He protested against having a state-funded funeral for Margaret Thatcher.